Start-ups have come into vogue. Today’s Silicon Valley has brogrammers, swag galore, and even its own reality TV show. Geeks are the new party rockers and we’re starting to see the resurrection of crazy start-up launch parties. 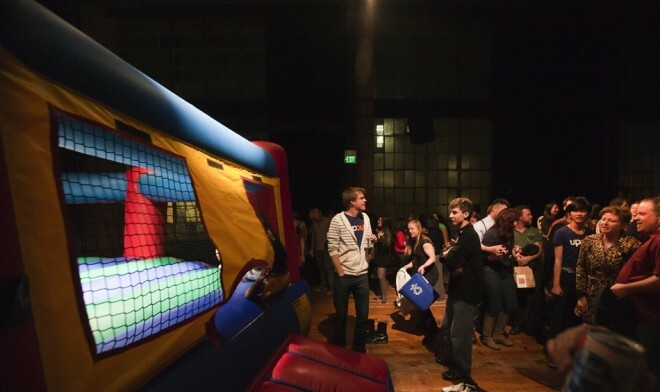 Lean mean start-up machines will tell you that launch parties are poor customer acquisition strategies. And 99% of the time, these bootstrappers are correct. However, at least 1% of the time a well executed party can really accelerate early growth for your company. My start-up, UpOut, threw a low-cost launch party in the Mission District of San Francisco last year. We managed to signup our first 500 users, got several back-links from bloggers, and built local buzz at the event. Below I’ll share some tips we used (or wished we used) to assess, measure, and throw a rockin’ launch party. Let’s NOT party like it’s 1999! Let’s get analytical. Why on earth would you throw a party? For start-ups a launch event is a big ad for your business, potential employees, users, customers, press, and even investors. A well executed event, like an ad campaign, builds legitimacy with your audience and can be cheaper than other forms of branding. Unlike almost all other marketing, events bring you face to face with your customers helping you build a personal relationship with them. The lead up to and post event provide other interesting opportunities. People who hear about the event may signup for your product regardless of whether they plan to attend. I highly recommend getting media outlets to cover the event or possibly join in as a media sponsor which is a great method of co-marketing. This helps build your relationship with them and helps send traffic to your website when mentioned. Pictures and other forms of social media help build buzz among friends of the attendees following the event. Start-up launch events are often organized solely by the founders who have little event planning experience. Even if you can afford it, hiring an event planner is often a poor choice because they have a hard time throwing the creative event you need. The biggest cost for the event will be your time. You should expect to spend 40 to 150 of employee hours to pull off the event successfully. In dollar terms, at a modest $35/hour, you will spend $1,400 to $5,250 of your own time. There are also hard costs to throwing a launch party. Costs will almost certainly include venues (min ~$800), entertainment (min ~$300), and swag (minimum $5/head). Your launch party is also likely have drinks, food, decorations, photographers, fliers, and staffing. You can certainly save money using trade or other techniques like “bar minimums”. However, at least in my experience, you will end up paying for it in quality, hours or favors. After all, you don’t want to be doing coat check at your own party! The fact is, most event material is fairly commoditized so it is unlikely that you can swing a serious deal. I would expect that any memorable party would have at least $2000 in hard costs. Ballpark costs: at least $3400. Use the above and more to estimate expected returns on each channel and compare with other customer acquisition mediums. Understanding these ROIs also helps you figure out where you should spend your efforts. Tip: entrepreneurs often fear charging at the door for an event to help cover costs. I always recommend charging for your event (even your launch event). Having an event fee helps weed out bad customers/users and throw a more memorable party. Besides, you can always discount prices! For most people, I doubt that a launch party would help substantially. I encourage anyone thinking about throwing a launch party to get seriously analytical about the event’s return on investment. As part of a larger marketing strategy, events can make a lot of sense. That said, as with everything, planning and foresight make all the difference.